Add a cool aesthetic to your playground equipment with the new HDG Series! What is HDG? Hot Dip Galvanized is a process in which steel is completely dipped into a bath of molten zinc to form intermetallic layers making it highly resistant to corrosion. Even more, the HDG process creates a unique look for playground designs in any environment—urban, sculptural, modern, industrial and more. And if you happen to live in a coastal area, this durable finish provides an extra layer of protection against the harsh elements. That’s why the City of Corpus Christi in Texas chose to incorporate the HDG Series in one of their seaside parks. Featured at McCaughan Park is all three products of the HDG Series—Venti®, Global Motion® and the Oodle® Swing. 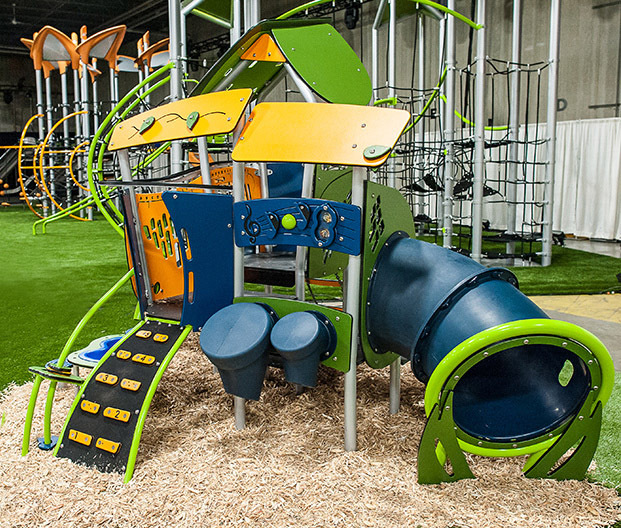 Kids ages 5 to 12 explore the modern-looking playground design while being challenged physically and mentally with the nets, slides, belts and climbers of Venti. Freestanding play components like the Oodle Swing and Global Motion encourage cooperative play, and challenge kids’ strategic-thinking and motor-planning skills. Learn more about the new HDG Series, and see photos of the newly opened McCaughan Park at playlsi.com. After observing kids at a local childcare facility, we realized that 2- and 3-year-olds are reaching specific developmental milestones. They’re on the move (to say the least), and are stimulated by things that move! That’s why we created Smart Play: Motion, a new playstructure with lots of moving parts that’s scaled just right for developing toddlers and preschoolers. Kids get plenty of developmentally appropriate challenges with 16 interactive play events. From a shape-and-fit table to a sensory station, every bit of Smart Play: Motion has some aspect of interactivity to it. Instead of creating just a handrail, our designers incorporated moveable puzzle pieces to create more engagement. And there’s a race car track that encourages cooperative play and interaction. 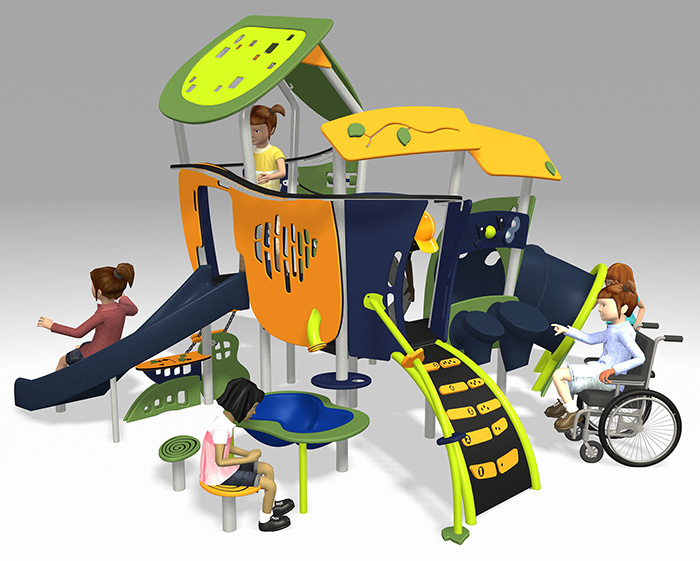 Even more, this compact playstructure is completely accessible to welcome children of all abilities. Smart Play: Motion not only provides smart design to help create smart kids, but it’s manufactured with a smart use of materials. The manufacturing of Smart Play: Motion—similar to the manufacturing process of all our playground products—is focused on getting as many components as possible out of the smallest amount of material. Learn more about Smart Play: Motion, and check out the video of this playground design below.